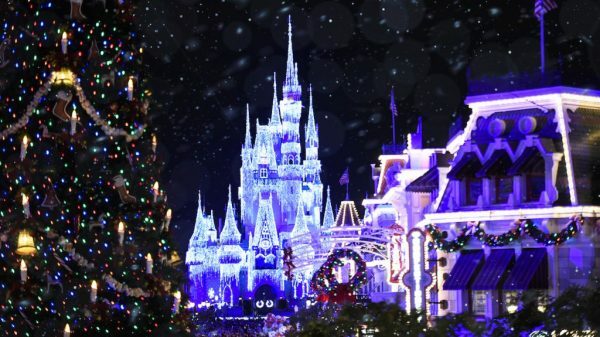 Tickets for Mickey’s Very Merry Christmas Party at Magic Kingdom® Park are now available. The favorite event transforms Magic Kingdom Park into a winter wonderland for the most magical 23 days of the year! 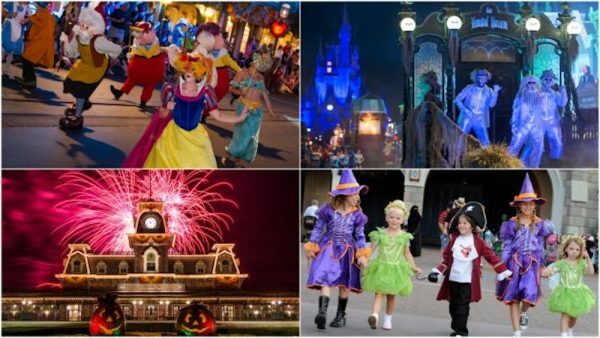 Yes, this year, Disney is adding an extra day to the parties! Returning favorites include a special holiday-themed parade and fireworks display as well as magical stage shows such as “A Frozen Holiday Wish” where you can get swept up in the holiday spirit when Queen Elsa transforms Cinderella Castle with glistening ice. In addition to the wonderful, holiday entertainment Guests can also ride Magic Kingdom Park classic attractions, savor complimentary treats, and enjoy a magical “snowfall” on Main Street, U.S.A.
Mickey’s Very Merry Christmas Party tickets start at $99 for select nights after $10 advance-purchase savings. To purchase your tickets, call 855-434-9397. Star Wars: Galaxy’s Edge is opening ahead of schedule on May 31 at Disneyland® Resort in Southern California and August 29 at Disney’s Hollywood Studios® in Florida. That’s right – it’s debuting early because of high guest interest in experiencing this new, immersive land. On opening day for phase one, you will be able to live your own Star Wars story and take the controls of the most famous ship in the galaxy aboard Millennium Falcon: Smugglers Run, sample amazing galactic food and beverages, explore an intriguing collection of merchant shops and more. 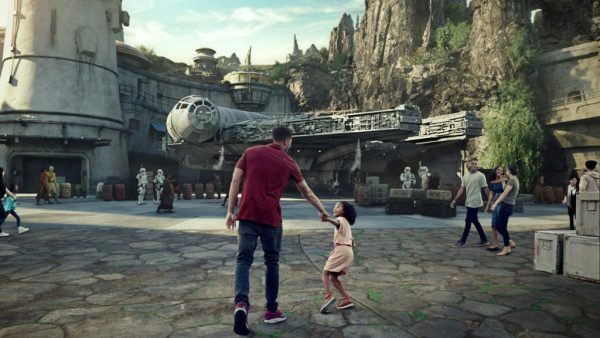 If you’re ready to book a vacation to experience Star Wars: Galaxy’s Edge, request a quote online or call 855-434-9397. Land Entry: Because we anticipate galactic excitement during the opening months this year, we are planning ahead to deliver the best possible experiences for our guests. Star Wars: Galaxy’s Edge will be open during normal park operating hours. It will not be included in Extra Magic Hour or Magic Morning at Disneyland Park. It will be open during Extra Magic Hours at Disney’s Hollywood Studios. Attractions: Disney FASTPASS service, including access via Disney MaxPass, (at Disneyland Park) and Disney FastPass+service (at Disney’s Hollywood Studios) will not initially be offered at Millennium Falcon: Smugglers Run. We’ll also be sharing more information on what you need to know when planning a visit to Star Wars: Galaxy’s Edge, including arrival and planning details in upcoming posts. Capacity for the parks, Star Wars: Galaxy’s Edge and its experiences is limited. Access to the park, land and experiences may be restricted or unavailable depending on guest demand and other factors. In summer 2020, Disney Cruise Line will embark on a variety of itineraries around the world, including a long-awaited return to Greece and the addition of five first-time ports of call in Europe. Along with an expanded European season aboard the Disney Magic, adventures will continue across the fleet with sailings to Alaska, the Caribbean and Bahamas. Click here to view dates. To book your Disney Cruise, call 855-434-9397 or request a quote online! After a five-year hiatus, the Disney Magic will return to Greece in summer 2020 as part of three special Mediterranean voyages departing from Rome. During one 12-night and two nine-night cruises, you can marvel at the beautiful landscapes and archeological wonders of destinations like Piraeus, the gateway to Athens; Katakolon, near ancient Olympia; and the islands of Santorini, Mykonos and Crete. Each sailing aboard the Disney Fantasy and Disney Dream allows you to experience the magic of Disney entertainment, which includes themed dining spaces, Broadway-style shows and more, while also immersing them in the charming island cultures of tropical destinations throughout the Bahamas and Caribbean. In summer 2020, Disney Cruise Line guests can enrich their cruise vacation with a variety of add-on packages from Adventures by Disney®, a leader in family guided group vacations. Highlights include brand-new ways to experience the Caribbean, a return to Alaska and popular packages in northern Europe and the Mediterranean. With Adventures by Disney, you can book the ultimate Disney cruise experience on select sailings in Alaska, Europe and—new for 2020—the Caribbean. Throughout the voyage, knowledgeable Adventure Guides provide dedicated service both onboard and in port, as they lead guests on specially curated excursions, interactive activities and off-the-beaten-path adventures. Onboard the ship, guests enjoy unique experiences and premium amenities exclusive to Adventures by Disney, such as an intimate talkback session with Walt Disney Theatre cast members followed by a behind-the-scenes costume and prop activity. Bookings open online & by phone (855-434-9397) to Platinum Castaway Club Members and Golden Oak Club Members on March 4, 2019 at 8 am ET. Bookings open online & by phone (855-434-9397) to Gold Castaway Club Members on March 5, 2019 at 8 am ET. 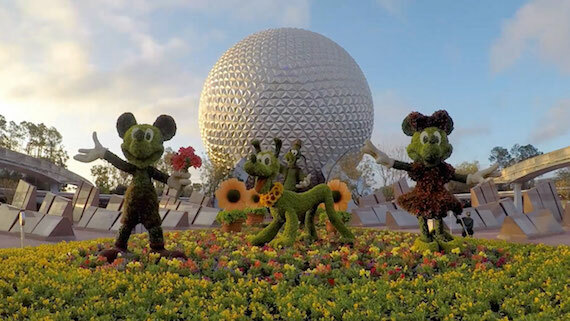 Booking open online & by phone (855-434-9397) to Silver Castaway Club Members, Adventure Insiders & Disney Vacation Club Members on March 6, 2019 8am ET. Bookings open online & by phone (855-434-9397) to the general public online on March 7, 2019. To book your vacation, call 855-434-9397 or request a quote online! Satisfy your appetite for fun with an unforgettable stay in the middle of the magic! You can enjoy a FREE dining plan when you purchase a non-discounted 5-night/6-day vacation package that includes a room at a select Disney Resort hotel and a ticket with a Park Hopper Option or Park Hopper Plus Option. To book your vacation with Free Dining, call 855-434-9397 or request a quote online! The number of rooms allocated for this offer is limited. Everyone in the same room must be on the same package. Advance reservations are required. Theme park tickets valid for admission beginning on date of check-in and must be used within a limited number of days, depending on length of stay and ticket. Visit disneydestinationstickets.com/usage for more details. Some table-service restaurants may have limited or no availability at time of package purchase. Exciting New Things at Disney’s Caribbean Beach Resort! Island living at Walt Disney World® Resort just got even better, as several new features at Disney’s Caribbean Beach Resort debuted this month. 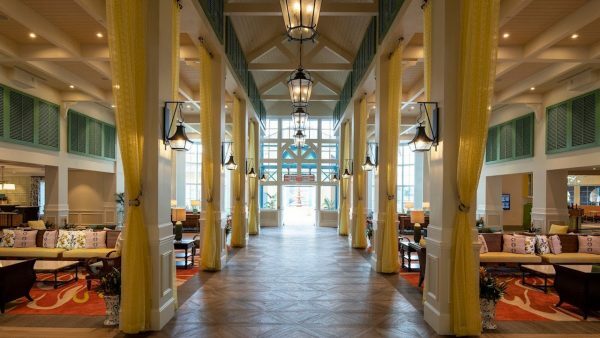 Old Port Royale now serves as the port of entry for the resort, where an all-new porte-cochere welcomes Guests into a colorfully reappointed lobby under an open-trussed roof and a colonnade with floor-to-ceiling drapes. Friendly Cast Members are waiting in the new lobby to help you check in, answer questions, offer advice for your stay, and more. If Guests want to relax, there is plenty of lounge-style seating. Or if you need to stock up on supplies and souvenirs, you can check out the new Calypso Trading Post. Sebastian’s Bistro is a Caribbean-inspired table-service restaurant featuring warm island hospitality and waterfront views. 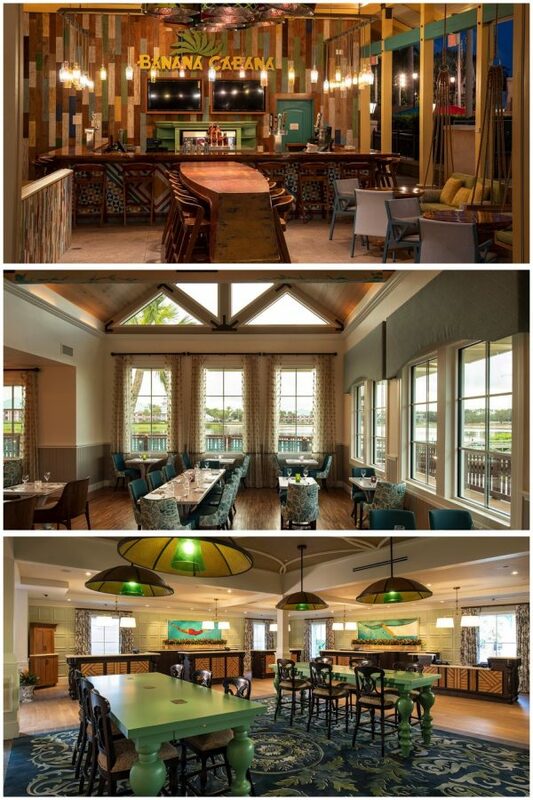 Guests will feel like they’ve stepped into a tropical beachfront home offering tantalizing Latin and Caribbean flavors. Highlights include a skirt steak “chimichurri,” sautéed shrimp and tamales, a crispy avocado-and-bacon burger and much more. Centertown Market is a fast-casual indoor street market where you will find a diverse menu of family-friendly fare. Made-to-order bowls with Latin- and Caribbean-inspired flavors allow you to choose a base, protein and sauce to create your own favorite dish. All these new amenities help life slow to a leisurely, breezy pace at Disney’s Caribbean Beach Resort. But if you’ve got children craving adventure, there’s new recreational activity now available! Guests ages 10 to 16 are invited aboard an evening adventure cruise on Barefoot Bay to investigate the mysteries of pirates of the past. During ‘The Unsolved Mysteries of Barefoot Bay,’ Guests will experience an evening of immersive storytelling during this interactive boating scavenger hunt. They will embark on a quest to unravel the mystery of Captain Calico’s disappearance by solving puzzles and collecting clues. If you want to experience Disney’s Caribbean Beach Resort for yourself, call 855-434-9397 or request a quote online! 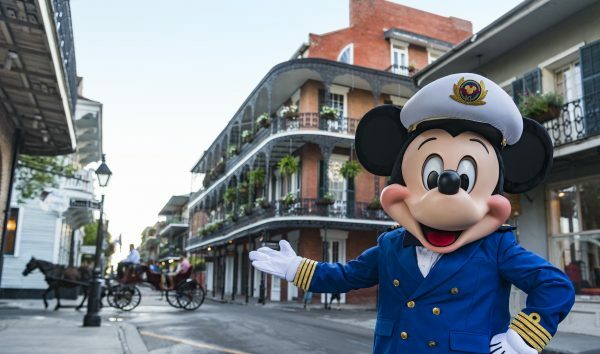 In early 2020, Disney Cruise Line will offer families even more ways to explore the world together with the addition of a brand-new home port in New Orleans, Louisiana and a highly anticipated return to the Hawaiian Islands. 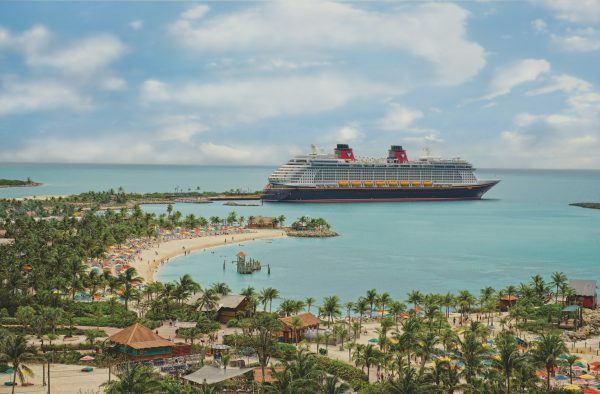 Disney Cruise Linewill also return to Puerto Rico for a limited time and continue guest-favorite itineraries to tropical destinations from Florida and California. To book a Disney Cruise, call 855-434-9397 or request a quote online! Online: Click here to get started! 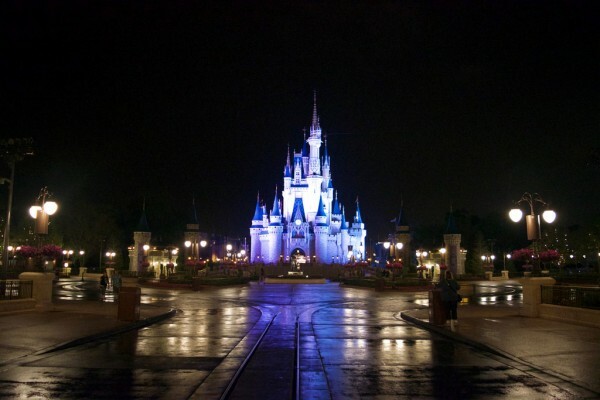 A Walt Disney World vacation is the perfect holiday gift for loved ones to create memories that last a lifetime. You can cross another holiday present off your list and save up to 25%* on rooms at select Disney Resort hotels for stays most nights January 1 through April 27, 2019. 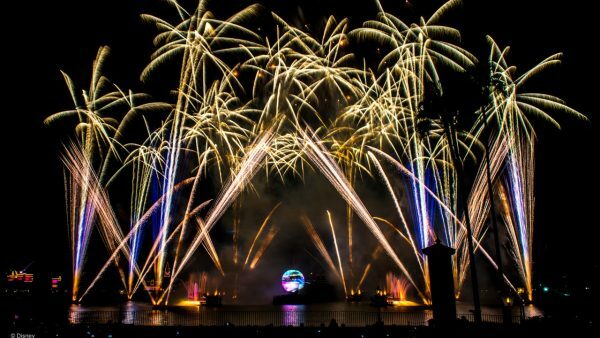 With so many unique and exciting things for you to discover at all 4 theme parks in the new year — NOW is the best time to book your 2019 getaway. 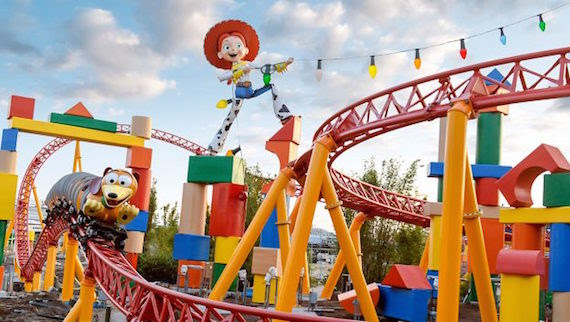 When you add valid theme park admission to this room offer, you’ll be able to play big in Toy Story Land at Disney’s Hollywood Studios, soak up a variety of new, limited-time experiences at Magic Kingdom park, and explore the ultimate celebration of food, art, and entertainment at the Epcot International Festival of the Arts! Valid admission is required and not included in this offer to enjoy the theme parks. You are currently browsing the archives for the Disney News category.